The Nugget Pedestal by Pulaski is a wonderful piece of accent furniture. The wooden stand has a classy Nugget and inset resin detail. A wonderful addition to any sunroom, living room or bedroom it adds class as well as a comfortable perch for favored plants. 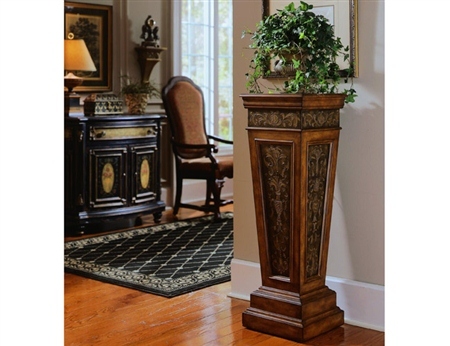 Arrange in your living room, bedroom, or entryway!